To Alan Anderson, being back in Evanston truly feels like a homecoming. 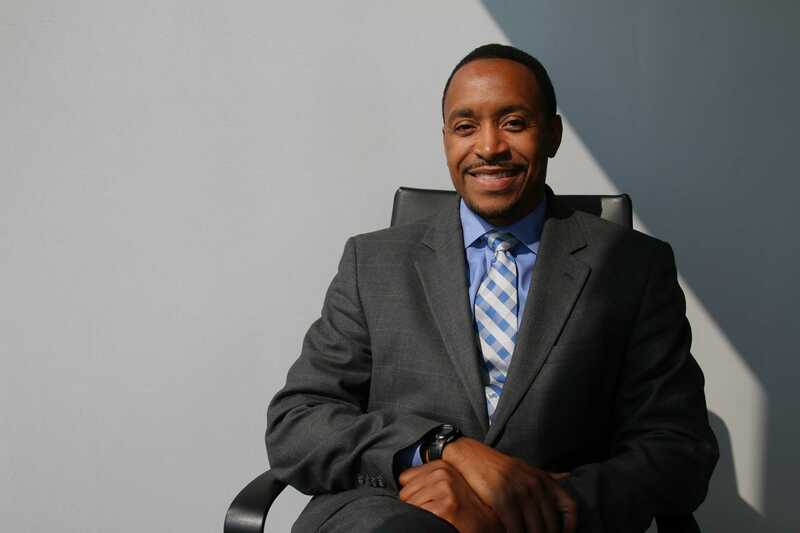 In the two months since he was named Northwestern’s new executive director of neighborhood and community relations, Anderson (McCormick ’99, Kellogg ’04) has been hard at work relearning the city and school he first got to know about 10 years ago as a student. As a student at NU, Anderson strongly believed in engaging with the Evanston community, he said, something he also did with the local communities as an undergraduate at the University of Michigan and during his time in design and management at Motorola. Anderson recalled, smiling, his work with Evanston’s Fellowship of Afro-American Men’s basketball league when he was a graduate student, which he said helped him understand Evanston. Now that he’s back, he looks forward to getting personally involved to keep kids engaged. In a sense, it seems as though the role of director of neighborhood and community relations was made for him. Though his position is not new, Anderson noted that Nim Chinniah, Northwestern’s executive vice president, and John D’Angelo, the vice president for facilities, took the lead in expanding the position and its impact on the Evanston community. Chinniah told The Daily following Anderson’s appointment that the University was looking for someone who could lead strategic thought, build partnerships and represent NU in Evanston. Under Anderson’s predecessor, Lucile Krasnow, the office of neighborhood and community relations mostly engaged with Evanston through gifts from the university, Anderson said. While that aspect of NU’s community policy will continue as it did during Krasnow’s tenure — though with a more deliberate focus on measuring a gift’s impact — Anderson is looking to new methods of applying university resources toward his office’s newly expanded slate of issues: education and youth development, community and economic development, and health and public safety. One example of this shift in strategy is the Workforce Development Program, a collaboration between NU and the city, Anderson said. The Workforce Development Program commits the University to offer apprenticeships through the Facilities Management office to 25 Evanston residents, positions which can then be converted into full-time jobs. In coordination, Facilities Management has pledged to spend at least $1 million per year with Evanston businesses, something that Anderson says highlights the outsized role the university can play in economic development. “As more and more employers look to do business with Northwestern, having them have a commitment to bring in workers from Evanston … that’s going to help spur more jobs and only help build the economy of Evanston,” Anderson said. Anderson will be working closely with Mayor Elizabeth Tisdahl, who lauded the University’s move toward greater involvement with the city and the Evanston community. The mayor, who has already met with Anderson several times, believes Northwestern’s role in job creation can have an important impact. The city also hopes to take advantage of the university’s academic resources thanks to efforts by Anderson and Chinniah, Tisdahl said. The city has been looking to NU for studies and advice on addressing gang violence, which Anderson has begun to coordinate with Kevin Brown, the city’s director of youth programming, Tisdahl said. With Anderson’s help, the university has been vetting the city’s work on a major initiative, its water sales to neighboring communities such as Niles. In addition to his work with the city, Anderson has also been working on tools to foster better relations between students and city residents. One such tool is an easily accessible schedule of NU events, which will allow residents to plan ahead for game day traffic and to be more involved with the school. He also hopes to work within the university, from trustees down to individual students. His long-term goal is to educate students on getting involved in Evanston on a larger scale than he sees at present. The mayor is optimistic that the University’s efforts for better community relations, with Anderson at the helm, can be successful — possibly even raising Northwestern’s dismal town-gown ranking in the Princeton Review. The ranking measures cooperation between universities and the surrounding community. “None of this would be happening if the University weren’t committed to excellent town-gown relations, and Alan is going to help us get there,” Tisdahl said. Prior to his appointment at Northwestern, Anderson served in several executive positions within the Chicago Public Schools system. His experience negotiating with various stakeholders, from parents to the city and business community, has taught him to feel comfortable in any setting, he said. “In a lot of ways, CPS really gave me that preparation (to network),” Anderson said. He also highlighted his time at Year Up, a nonprofit he founded to help low-income adults with professional development, which he said has made him especially attuned to the concerns and challenges of the nonprofit community. “Starting a business with very little resources and being able to build it up over time … I know what it’s like to be in your shoes,” he said. For Anderson, the job is all about relationships. The opportunity to reconnect with the varied facets of Evanston through his new role is more than just a job — he believes he can do something meaningful in a community that is close to his heart, he said. Evanston is where his children were born — they were christened at Second Baptist Church on Benson Avenue — and where he cheered on the North Shore Panthers youth football team. In other words, it’s his home. Anderson’s warm homecoming means a lot to him personally, but it also gives him hope. “It gives me confidence that we can do some really amazing things, the University and the City of Evanston,” he said.